BREAKING NEWS: Cilla and Rolf Börjlind’s WUNDBRAND (Gangrene/Kallbrand) is number 1 at Der Spiegel top list. 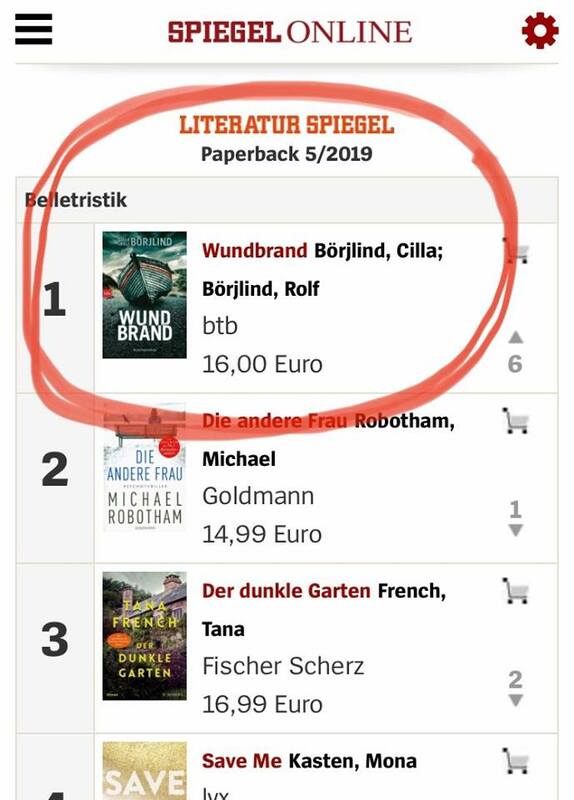 One week after release by btb Verlag WUNDBRAND hit number 1 on the top list. Grand congratulations to Cilla & Rolf and to Regina Kammerer and the great team at btb.